Mexico wasn't a part of our holiday plans, but the circumstances changed, and it was a last-minute decision. I am glad because it ended up being one of the best holidays. If you think that I did something special to make holiday great, nope, I did not. The only plan that we had was that we would spend the whole week doing nothing, absolutely nothing, and that was very special to me. (This plan changed a little bit, and what we did I will be publishing soon). When we landed in Cancun, it was raining, but the temperature was 31 degrees. James informed me that we would have to face bad weather, but to be honest, I did not mind. Our transportation from the airport was organised by the British Airways, and I must admit it is much easier when you do not need to think of how you will go from the airport to the hotel. When the driver stopped in front of Hotel Óleo Cancun Playa, I was happy and I deliberately ignored the construction site on the right side of the hotel (they were expanding the hotel and of course the off-season is the best time to do so). 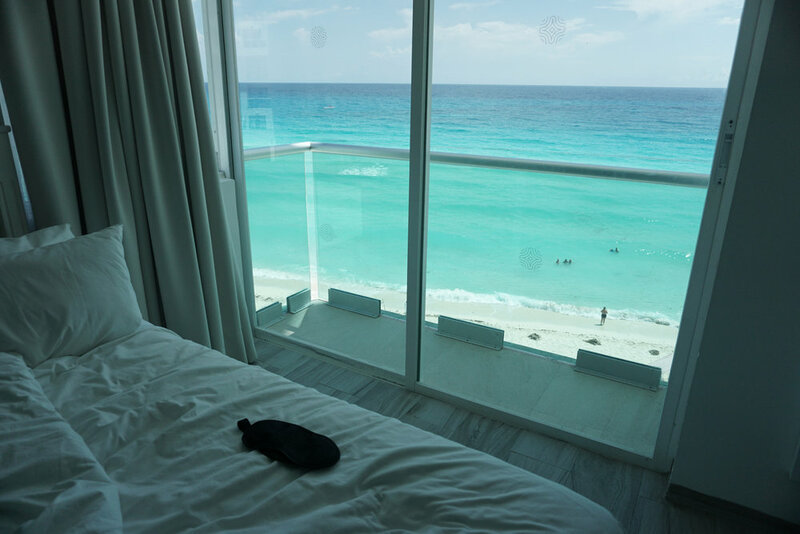 However, Hotel Oleo Cancun Playa, is located next to the seaside, and due to rainfall on our arrival day, Oleo looked amazing. The building is all white and those dark clouds in the background gave off a very dramatic vibe. I loved it! View from our balcony :) "Double Superior Room with an Ocean Front"
On our arrival, the staff welcomed us with a cool drink and sorted our booking. In less than 10 minutes, we were on the way to our room. We stayed in a Double Superior Room with an Ocean Front view, and all I can say is OMG! There was a small balcony with a fantastic view of the Caribbean Sea. A big shout out to the staff members of the hotel – it was unbelievable how polite and welcoming they were. I felt very relaxed and comfortable. At the end of the day, this is what you expect from a holiday when you do not want to do anything else. 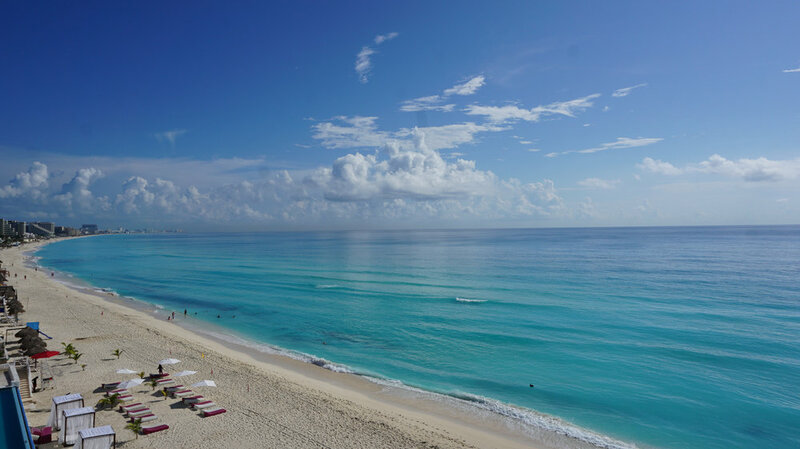 Click through this gallery (just keep clicking on the right side of the picture), and you can see pictures one of the other rooms that Hotel Óleo Cancun Playa is offering - Junior Suite Ocean Front. The next time you book your stay in Cancun and if that is with Hotel Óleo Cancun Playa, you will be able to use their brand-new spa. Due to construction work that is being carried out at the moment, as mentioned before, they are planning a massive expansion and new spa facilities. The construction work is expected to finish by November, so there is nothing to worry about. Me in my Shirley Denim Shirt Dress from Oliver Bonas .